Product prices and availability are accurate as of 2019-04-21 06:18:54 UTC and are subject to change. Any price and availability information displayed on http://www.amazon.com/ at the time of purchase will apply to the purchase of this product. 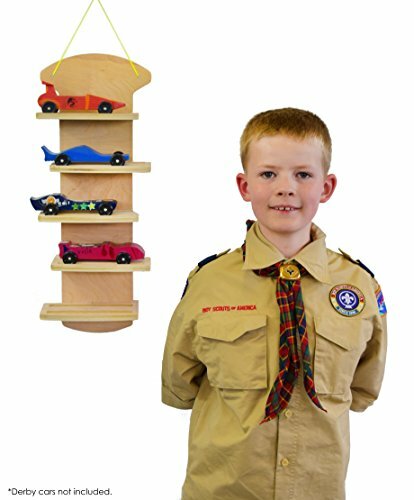 Model Cars is proud to present this Pinewood Derby Car Display Rack - 23 3/8" Tall, 9 1/16" Wide - hBAR at Home Series by hBARSCI. 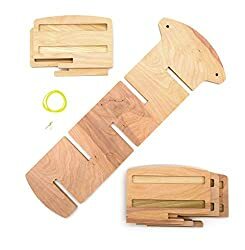 Check out this detailed Pinewood Derby Car Display Rack - 23 3/8" Tall, 9 1/16" Wide - hBAR at Home Series made by hBARSCI and featured by ModelCars.us. This detailed item is currently available - get securely and safely on modelcars today. The look of pride on your scout's face when they have finished their car is one of the highlights of Cub Scouts. Whether their car beats them all or loses every race, the most important lesson of the Pinewood Derby activity is pride in a job well done. Help your cub showcase their hard work with this easy to assemble display rack. No glue, no screws, no tools - simply insert the slotted shelves into the back board and tie the string. Then hang on the wall with the included wall-hanging hardware. Your cub can even decorate the rack themselves! This display measures 23 3/8" tall, 9 1/16" wide and each shelf is 5 1/2" in height. 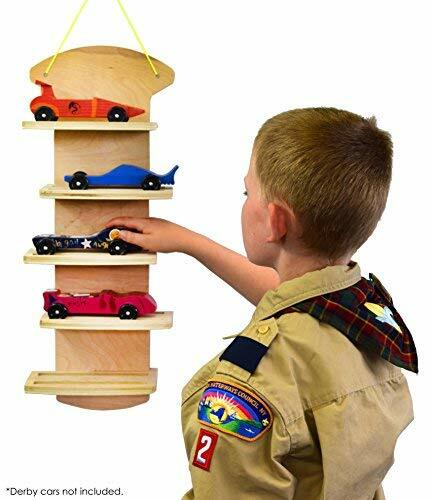 Showcase your winning Pinewood Derby Cars in this easy to assemble wall-hanging rack. 5 spots for 5 years of cars as your cub scout progresses from Tiger to Wolf to Bear to Weblo to Arrow of Light! Designed and assembled in the USA. The material is high quality precision-cut Birch verner pure bond plywood. Wall-hanging hardware included. Kit comes with a step-by-step educational guide. Included: wall-hanging rack, string, and mounting hardware.